My new years resolution (amongst others) was to try and wear less black clothing, as my ward/floordrobe is a black abyss it seems. The outfit I wore to a friends birthday meal/drinks on monday night is not really sticking to the rule though. Oh, wait the brown faux fur stole really adds something! The thing with black though is that is majorly flattering, you can hide a multitude of sins and still look fabulous. 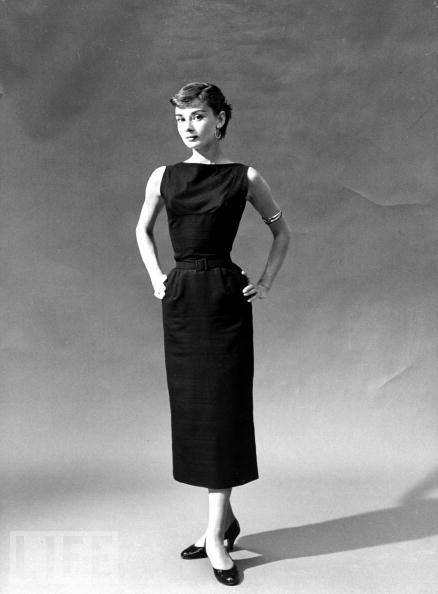 Audrey Hepburn didn't do to bad and she was the originator of the little black dress! It was £50.00 (but Ive been told its now in the sale) and it will be my all time favourite item of clothing. I think its something that will never look dated or out of style, however the only issue is, I don't know when else to wear it because its such a show stopper! Sorry for the short post, I'm going out in a bit and don't have much time to blog, but will be all over it this weekend!